The Society’s Annual General Meeting was held on the 27th October 2018 at our adopted home, the BMI Birmingham. It was a cold start to the day but nevertheless the event was still well attended with over 75 members and guests arriving to hear the proceedings and speaker line-up of the day. Bob Bower opened the event as Chair, this was his last event in this position as he had decided to stand aside after a number of years in the role. He was instrumental in increasing the membership to its current high levels. 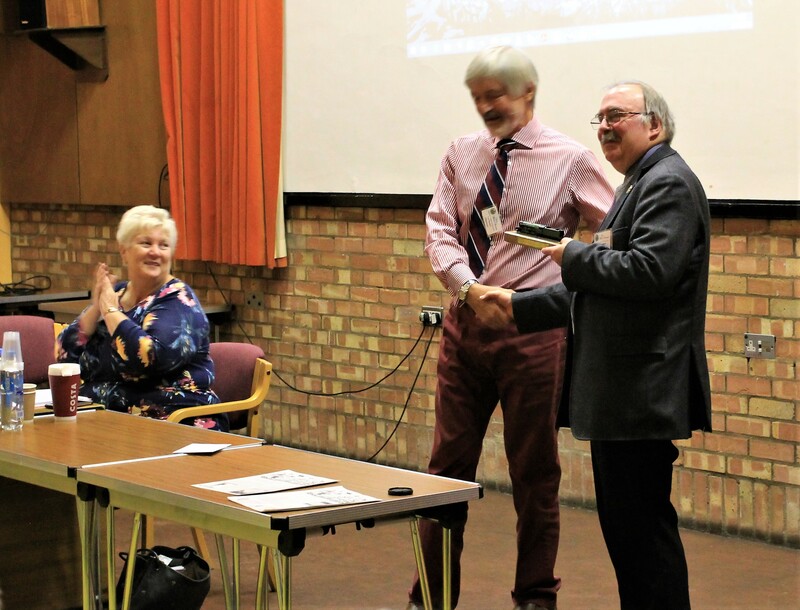 Bob was thanked for all his hard work and we will continue to see him at meetings as he is one of the organisers and speakers of the two day Oxford Conference in April 2019. The minutes were approved and the council welcomed the new Chair Gerard Gilligan to his post. 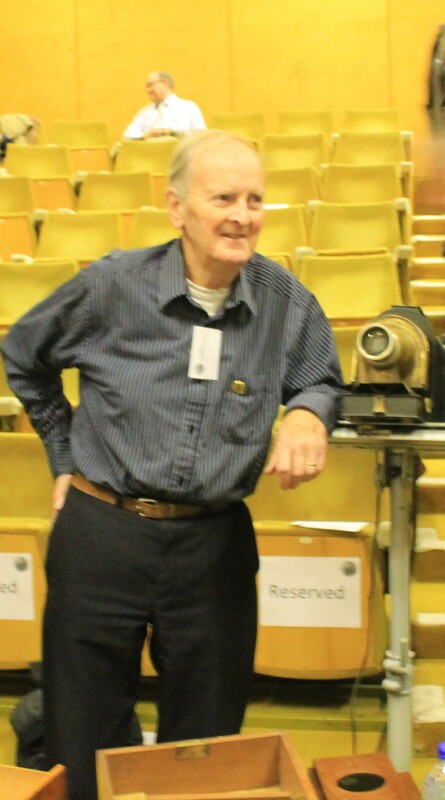 Gerard is well known to members as his prior role was membership secretary. The vacant position of membership secretary has been filled by Graham Jones, and we welcome him to the council for the first time. 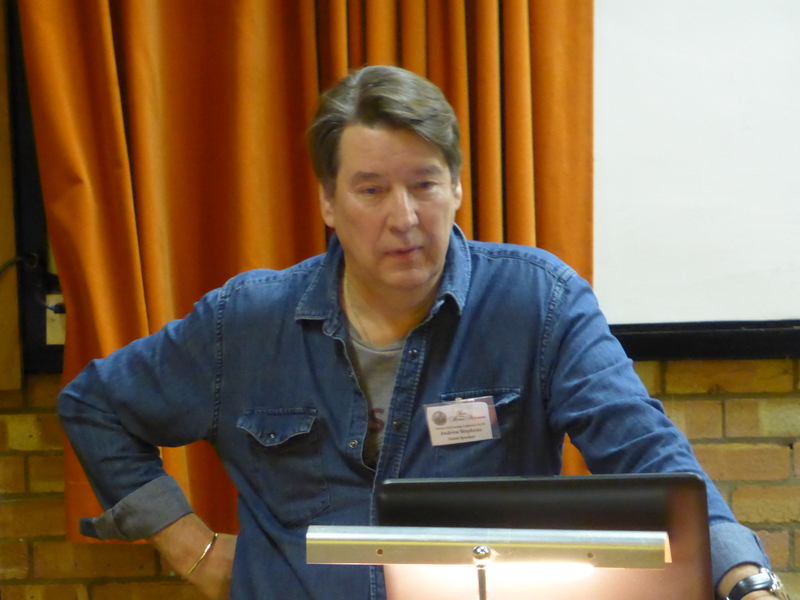 Graham is an experienced astronomer who is also on the council of The Society for Popular Astronomy. 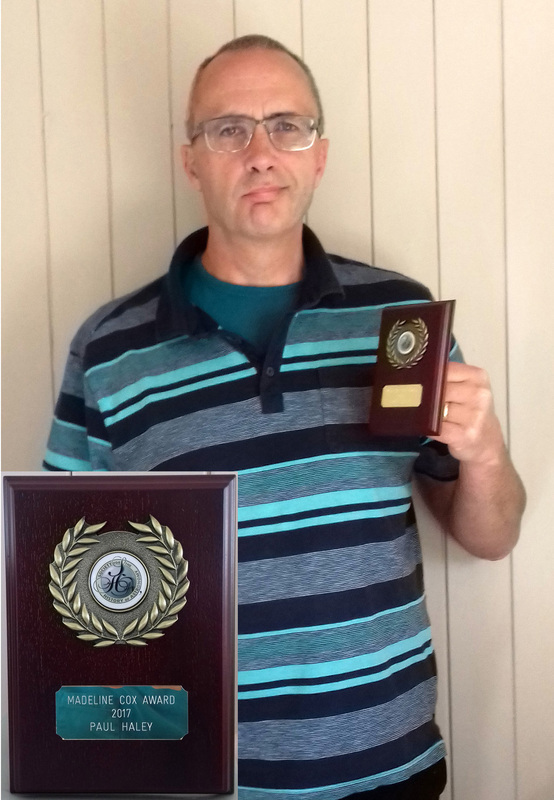 The annual awards were presented as follows; The Roger Jones award for 2018 was awarded to Brian Jones, who unfortunately could not make it on the day, but was being recognised for his fantastic work on the SHA Facebook page, where he posts interesting historical facts on a daily basis. 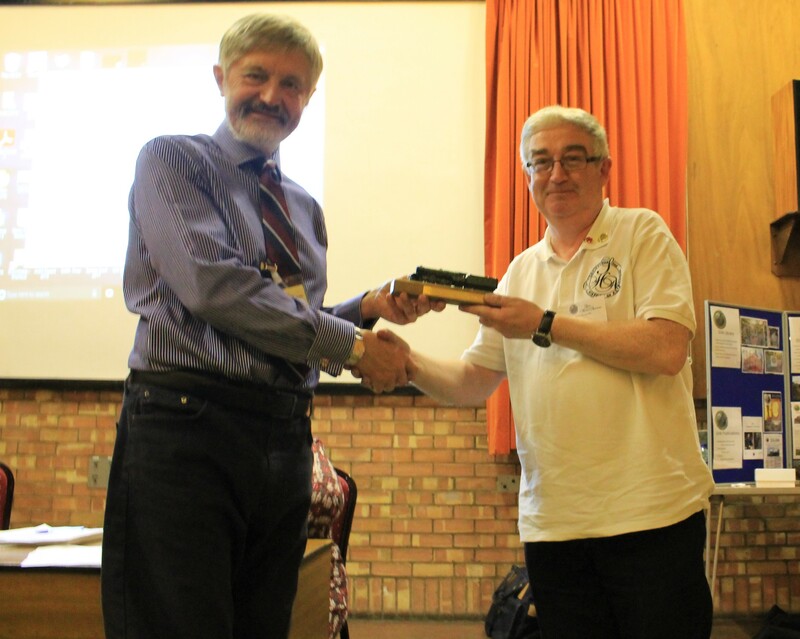 The Madeline Cox award was given by the Bulletin Editors to Graham Mcloughlin for his article on the 1927 Solar Eclipse and all the research that he has done on the subject. 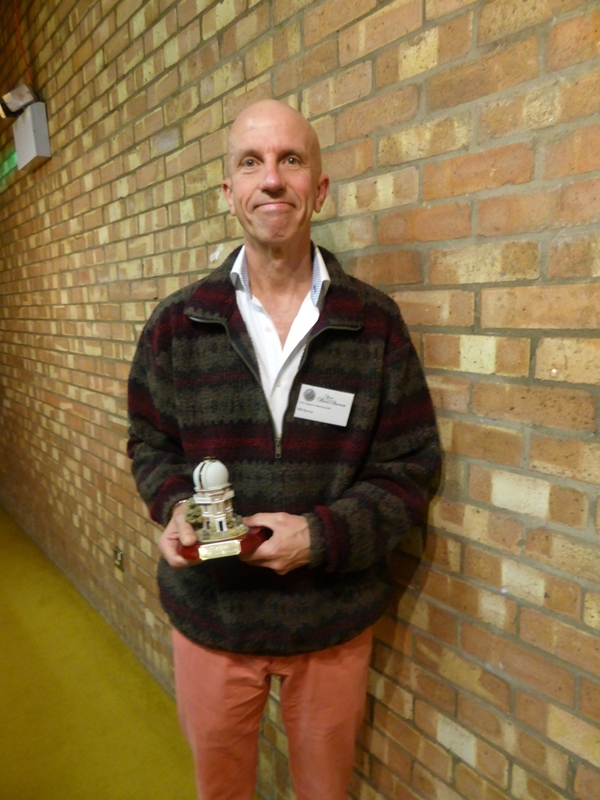 Mike Leggett was awarded the Peter Hingley award for all his work on the council and within the society. Mike is a founding member of the society and a long term member of the council. 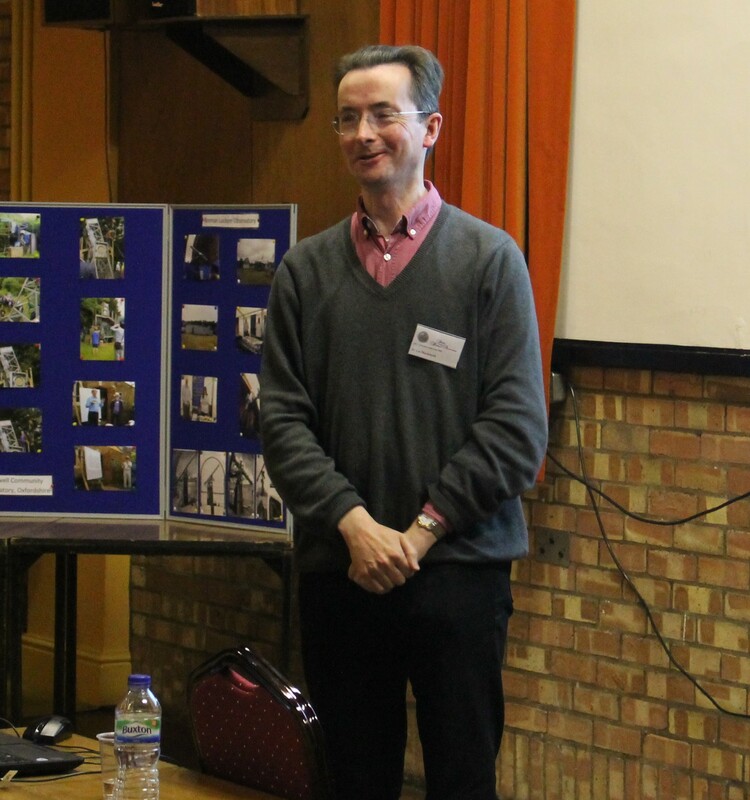 He most recently held the post of Publicity Officer, due to work commitments he has had to step down from the council but will still be a regular attendee of the society’s meetings. Well done all. 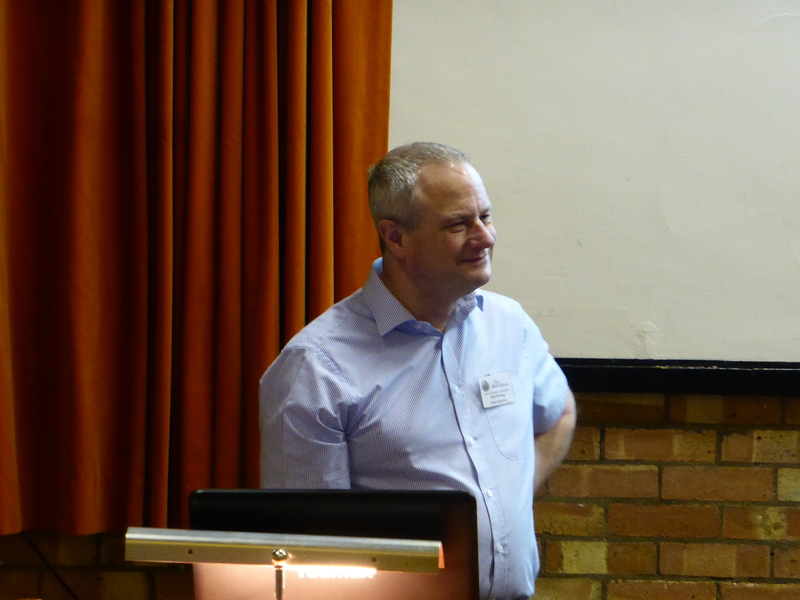 Andrew Stephens, the first speaker of the day took us on a journey to our neighbouring galaxy Andromeda. 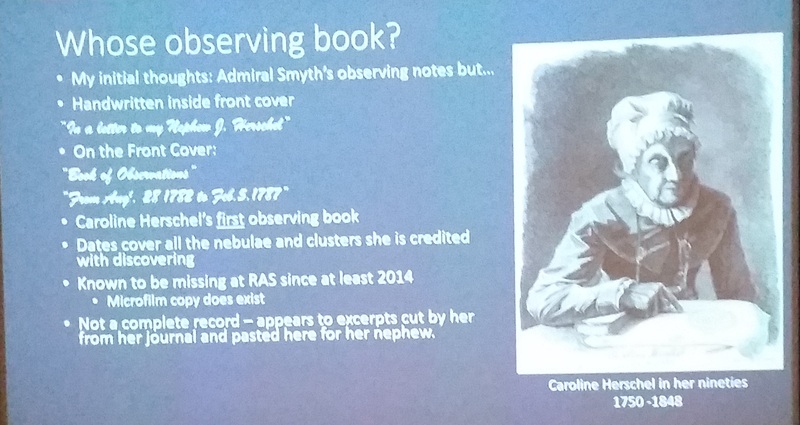 His talk “Observing the Andromeda Galaxy, Dec 1612 to date-a warps and all story!” introduced us to a research project which he has been undertaking since September 2015. It was during the night of the supermoon total eclipse when Andrew observed Andromeda in what he felt were exceptionally transparent conditions. Through binoculars he was surprised to see large, unfamiliar, areas of nebulosity at the galaxy’s extremities. He noticed these areas were off-axis with respect to the major axis of central bulge and at the southern end showed signs of having a three-dimensional structure. Researching these features has proved fascinating, as many excellent observers throughout history make no reference to them. The observations can be explained by reference to professional findings concerning the tidal warping of the galaxy. Although Andromeda is usually reported as visually symmetrical Andrew believes it is not. During the talk he demonstrated warping can easily be seen on any photograph if it is turned so the major axis of the galaxy lies on the horizontal. He finished with a request that anyone finding references to visual observations of the warping, or observing it for themselves, please get in touch, as it will add to his ongoing research. After introducing us all to this riveting mystery I am sure many of us will be observing the galaxy in a whole new way. Rob Peeling took the floor to guide us on a story through the life of Admiral William Henry Smyth, with a talk entitled “William Henry Smyth, his life, placing his astronomical work in the wider context of his participation in British intellectual life in the 19th Century.” His early life was marred by his father finding himself on the losing side of the American War of Independence. This meant that the family found themselves in a reduced state in the UK and his father’s later return to America to try and reclaim some of the family fortune ended with his tragic death. He would never meet his son, who was born in the UK just months after he died. Smyth at the age of 14 took matters into his own hands and joined the Navy, against his families wishes. His life was adventurous and he travelled to many far off places and was involved in a number of conflicts. Best known for his 1844 book “A Cycle of Celestial Objects”, he was also an excellent self-taught cartographer. Many of his observations were made in his observatory at No 6 The Crescent in Bedford, there is now a Blue Plaque on the property. We thank Rob for this wonderful synopsis on Admiral William Henry Smyth life, he certainly led an exciting life. After lunch we had a new feature to our proceedings, we held our first short talk hour, this hour was split between three twenty minute talks. We hope this will allow people to present smaller areas of research without feeling the need to have to present for an hour. Bob Bower opened this section of the meeting with a talk entitled “ The artistic skills of Lord Rosse – His hitherto unpublished drawings”. 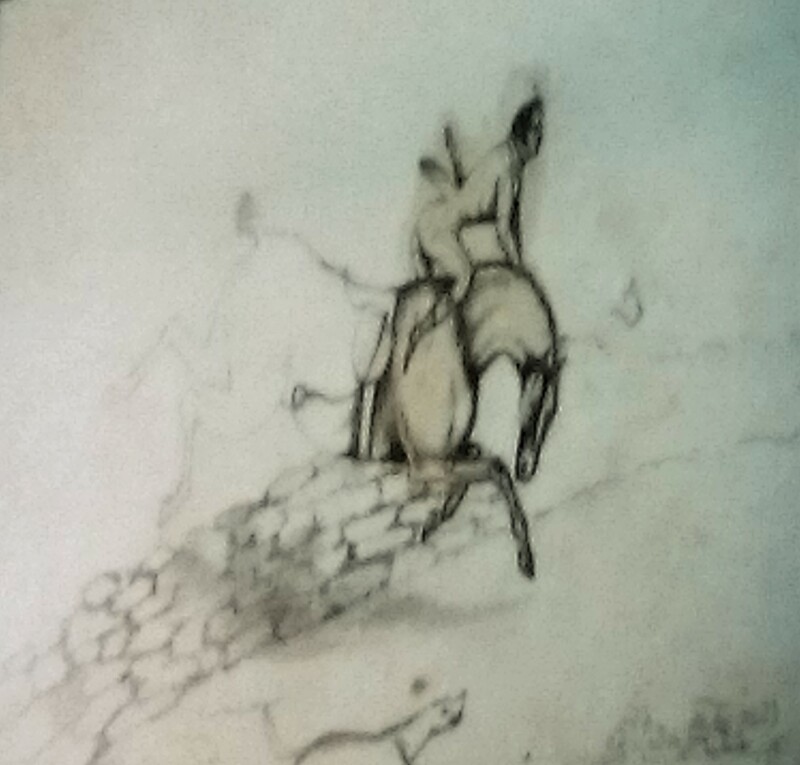 The slides gave us an opportunity to see some of the wonderful sketches that Lord Rosse peppered throughout his notebooks, many which have not been seen before outside of Birr Castle. Lord Rosse’s drawing skills were excellent and his humour abound throughout the sketches. We also got to see images of Bob’s visit to Birr Castle, along with the huge Leviathan telescope, this is a replica telescope which can still be seen by visitors to the castle. After hearing Bob’s wonderful talk I am sure many of us will be inspired to visit this amazing location. John Chuter and Eddie Carpenter then spoke about “Sir Robert Stawell Ball”. 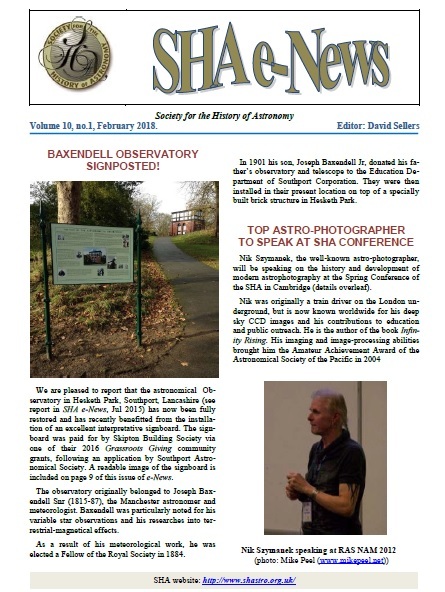 Many of the attendees will have made the link to the BMI and Ball, with the SHA library being called after this foremost communicator of popular astronomy. John began with a brief summary of Sir Robert’s life, and then went on to explain how he had made extensive use of lantern slides. Sir Robert had kept detailed notes of his lectures which included lists of slides he had used. John, as Co-archivist of the BAA had come across the remnants of their once large lantern slide collection they loaned out to members. His research shows that Sir Robert had left his lantern slides to the BAA. The BAA had decided to dismantle the collection in the 1980s. Eddie has purchased a large number of them at that time. There is still a lot of work to do on this, but it is possible that a number of Sir Robert’s slides are still in the BAA’s or Eddie’s collections. Eddie and John have made some educated guesses on which they are. We were then treated to a lantern slide show by Eddie showing possible slides owned by Sir Robert. Over 1 million people saw Ball lecture in his life. He never changed the slides himself, always relying on paid Lanternists to do this, to ensure the smooth running of the show, without the encumbrance of slides being put into the machine upside down or the wrong way around. 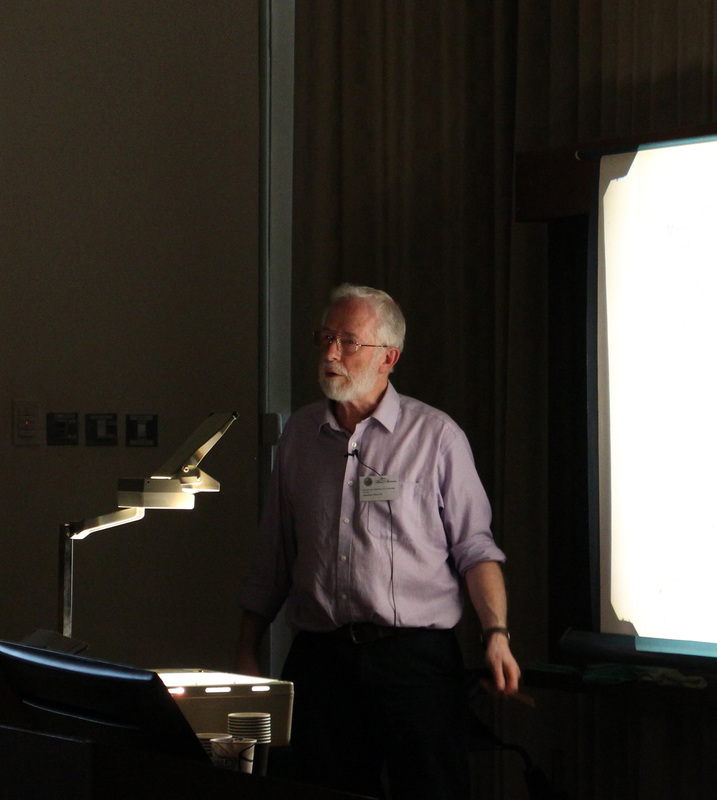 Ball gave his last lecture around 1910 using lantern slides, maybe some of which we saw today. 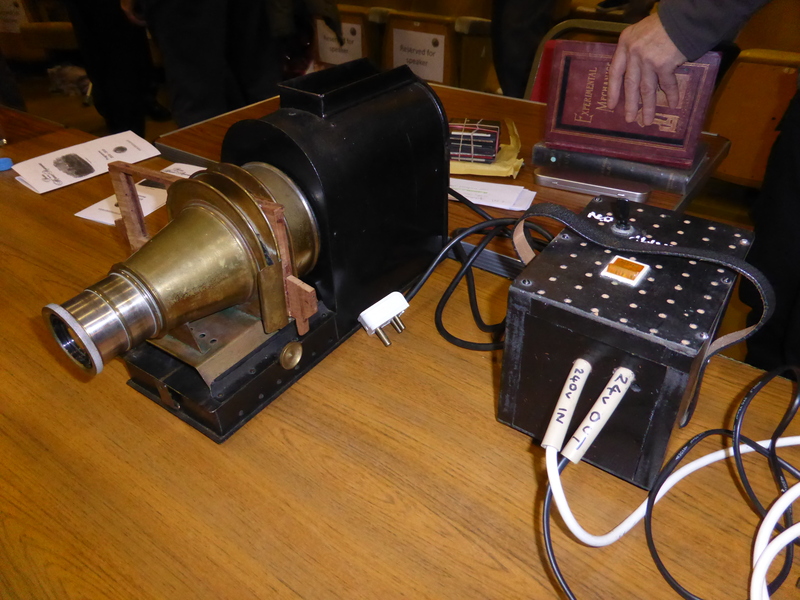 It is always wonderful to see the old lantern slide machines in action, and we thank John and Eddie for the talk and accompanying presentation. 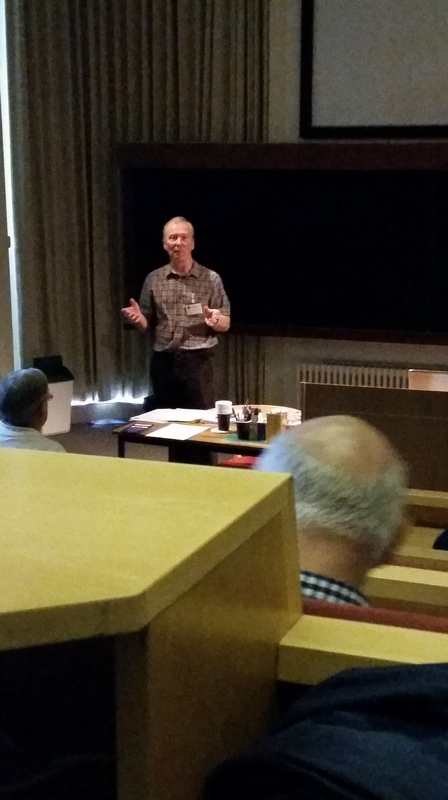 The following full-length talk was given by Graham Mcloughlin on “The 1927 Solar Eclipse.” This eclipse was on 29th June and had a central line through Lancashire and North Yorkshire. Graham described how it was the first full eclipse in the UK for 203 years and was highly anticipated by astronomers and the general public alike. Graham showed a large amount of material from that year which demonstrated how people would be travelling to the eclipse region. With an eclipse area of just 30 miles width and totality being only seconds, people had to choose their observing location with care. Unfortunately June 1927 was befallen with poor weather, demonstrated with the outfits people wore in the images, many being in overcoats with hats and scarfs. Witnessing totality was a lottery with people located just miles apart being clouded out or under clear skies. Graham brought many photographic slides of the event which gave us a real feel for the excitement of the build-up and the event itself. Thank you Graham for showing us that eclipse chasing is nothing new and giving a wonderful talk about a very interesting event here on UK soil. 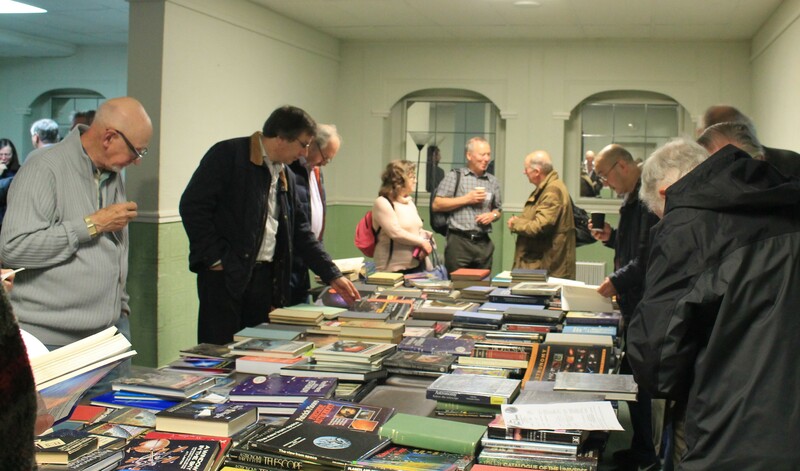 After the final break and a last look around the library and book stall, delegates were treated to the exuberant Allan Chapman and his talk “The Wonderful Century; From Atoms to Island Universes. 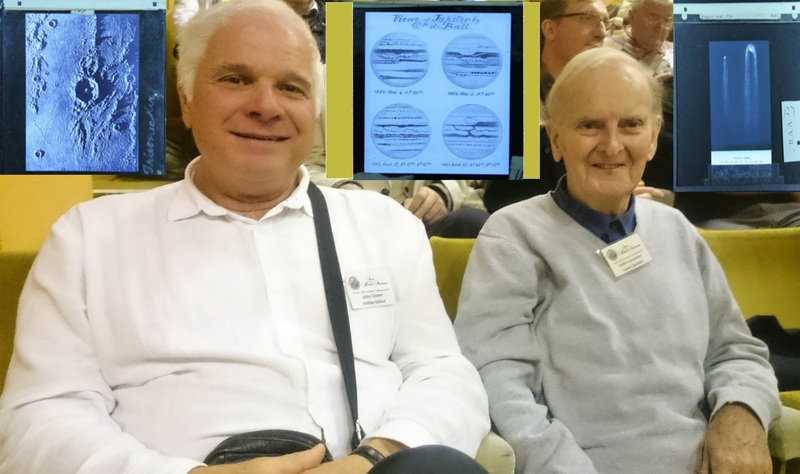 Astronomy in the 20th Century.” Allan is the societies honorary president and is always very supportive, regularly speaking at the October AGM. This year we were treated to a journey through the 20th century. Starting with Sir Norman Lockyer and his discoveries of Helium, we journeyed through the fastest developing period in astronomical history. 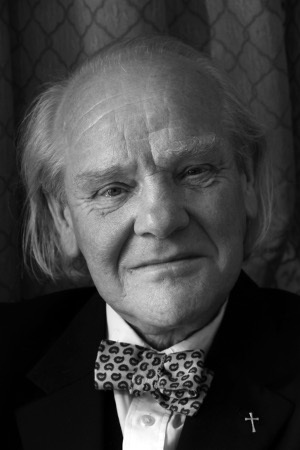 Allan covered everything from Williams Huggins spectroscopy and how this had opened up new fields at the start of the century, to Albert Einstein’s development of a whole new physics with his work on relativity. 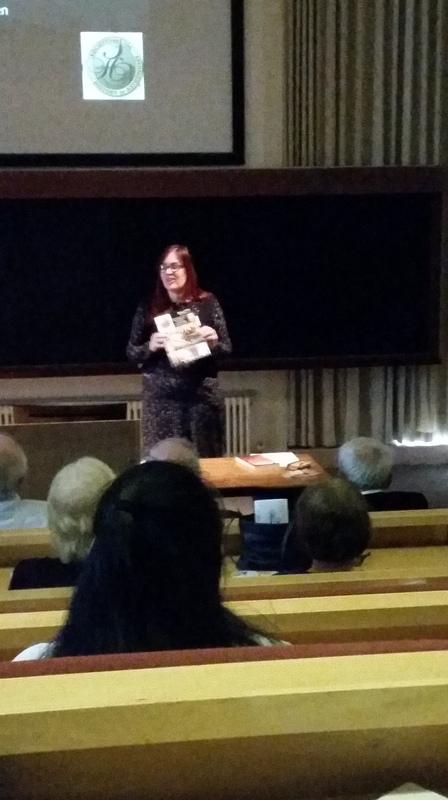 We also heard about the work of Henrietta Swan Leavitt and the classification of stars and Edwin Hubble and the realisation that galaxies were redshifting and moving away from each other. 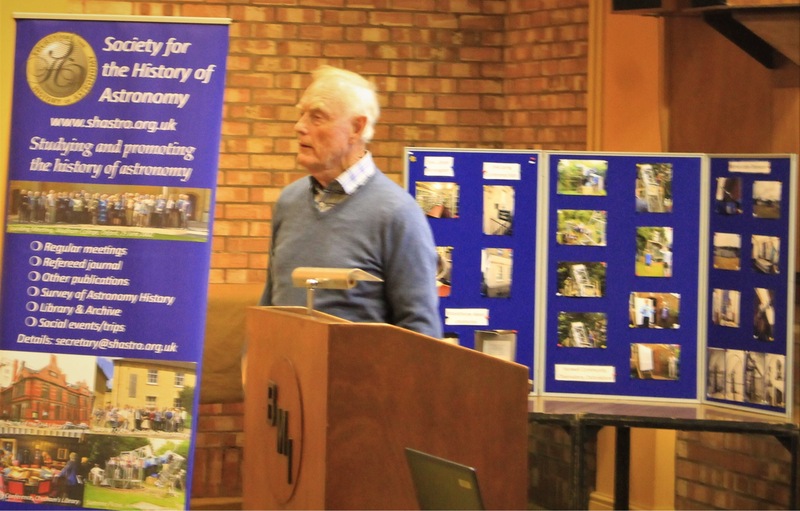 We were brought right up to the end of the twentieth century with Allan sharing wonderful stories about his meetings with Patrick Moore and Barnard Lovell. This lecture was a real treat and it was wonderful to hear all about the lives of these trailblasers. We thank all the members and guests for attending the meeting and hope you enjoyed the day. See you all April 2019 at our Spring Conference in Oxford. This entry was posted in News on November 7, 2018 by societyforthehistoryofastronomy. This entry was posted in News on January 26, 2018 by societyforthehistoryofastronomy. Due to the recent bad weather the Birmingham and Midland Institute will be closed tomorrow (Monday 11th December) and possibly on Tuesday (12th December). The SHA Library was scheduled to open on Tuesday but given the uncertainty of the weather and the BMI opening, the library will not open. If anyone wishes to visit the library before the end of the year please contact me. I’m sorry for the short notice of this. This entry was posted in News on December 10, 2017 by societyforthehistoryofastronomy. The above programme offers an interesting mixed bag that should appeal to all. If you would like to give a talk at the next conference, do please contact me. This entry was posted in News on November 16, 2017 by societyforthehistoryofastronomy. 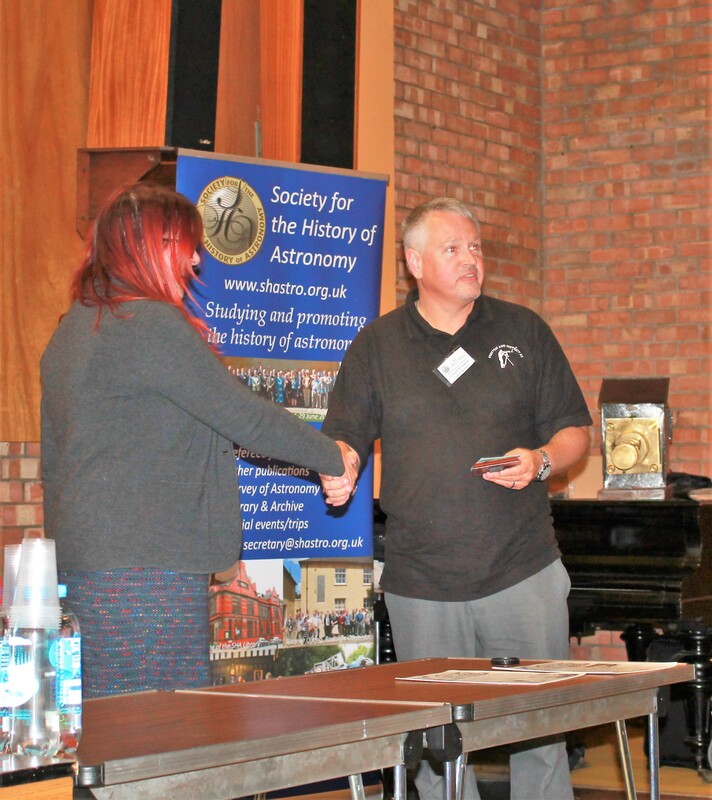 The Society for The History of Astronomy’s Annual General Meeting and Autumn Conference was held on Saturday 28th October at the Birmingham and Midland Institute in Birmingham. 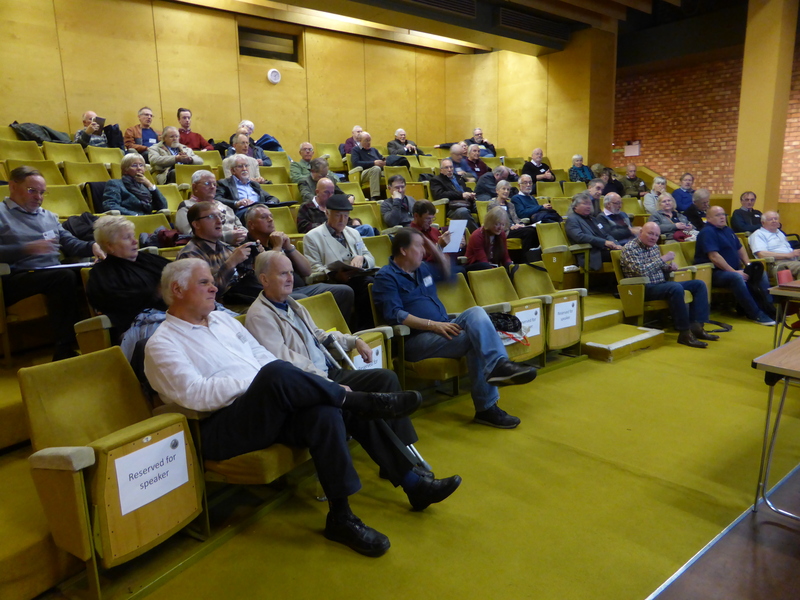 It was a full packed day with delegates having the opportunity to listen to five talks alongside the AGM. 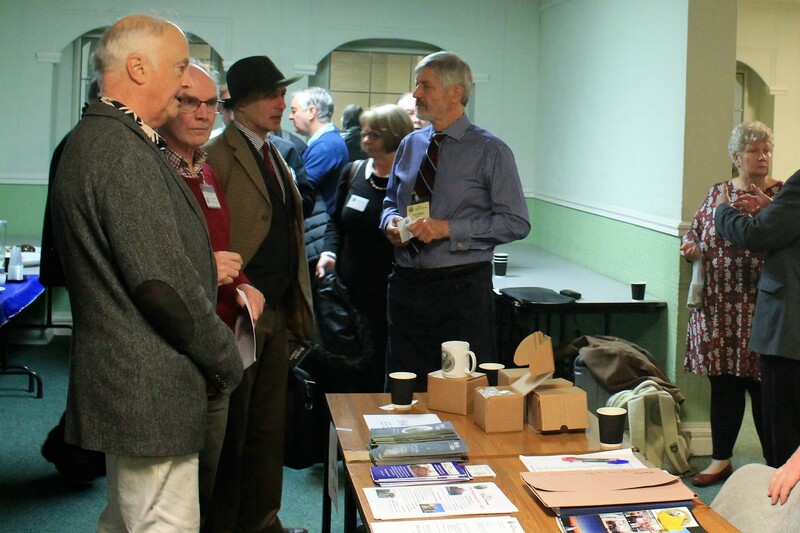 It was to prove a busy meeting with over sixty members attending and eleven guests. 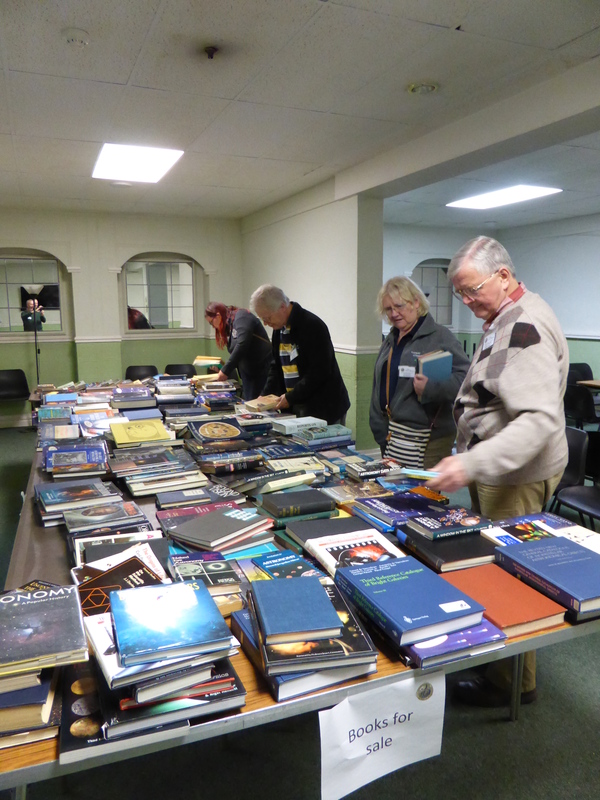 The day commenced with the opportunity to buy books from the bookstall, get refreshments or browse the SHA library which has one of the largest collection of historic astronomy books in the UK. Bob Bower, Chairperson, started the formal proceedings with his usual vigour and humour, thanking the many members of the society who have helped with the running of the Society during the past year. This hard work has resulted in a large increase in membership for the Society. 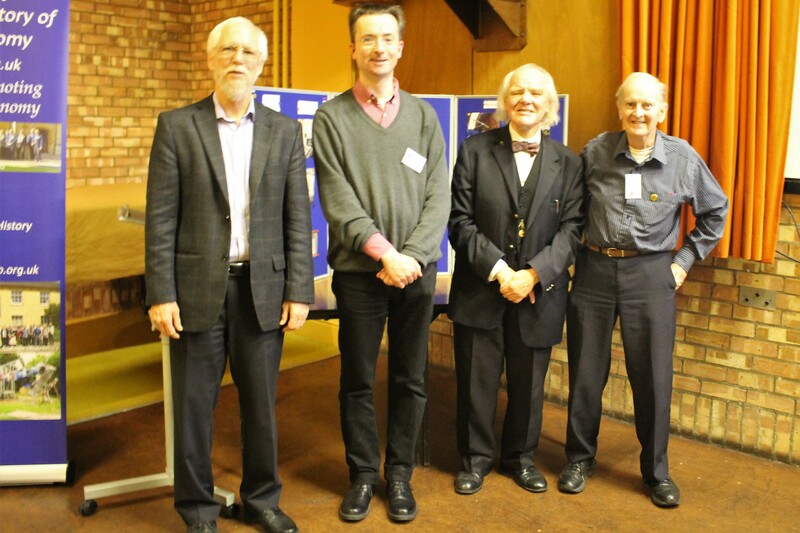 The Societies’ prizes were awarded, firstly Paul Haley got the Madeline Cox award for his contributions to the Bulletin magazine, Bill Barton was awarded the Roger Jones award for his work on the survey and Gerard Gilligan was given the Peter Hingley award for his significant contribution towards the increase in membership during the past year. 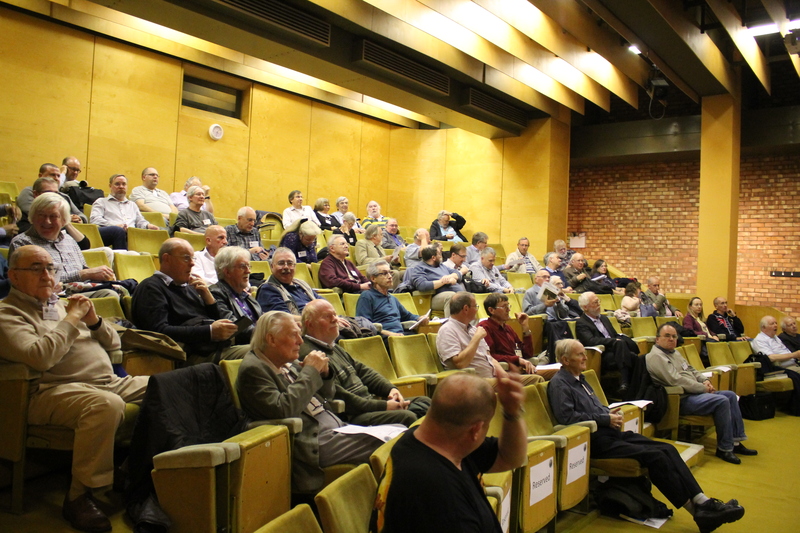 The SHA has indeed seen a record breaking influx of new members for the year, which after Saturday is now 50. Well over 200 in total. 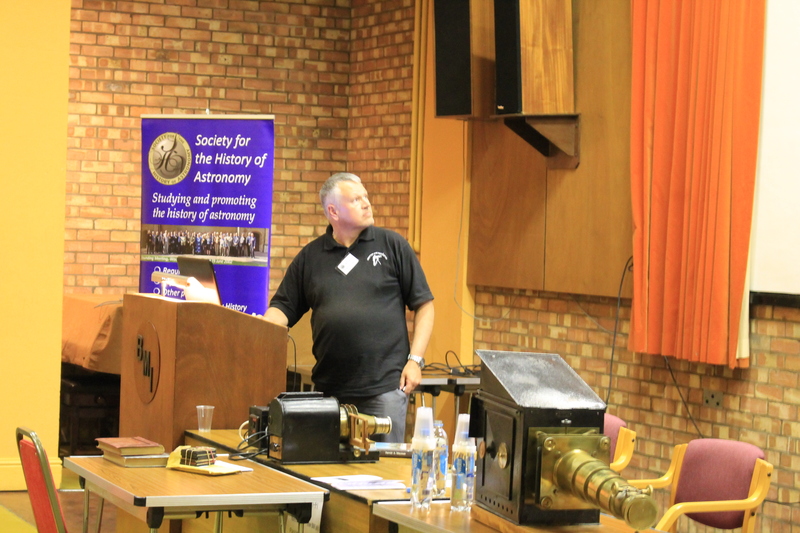 The first talk of the day was by Roger Salt, he spoke about “The Antikythera mechanism”. 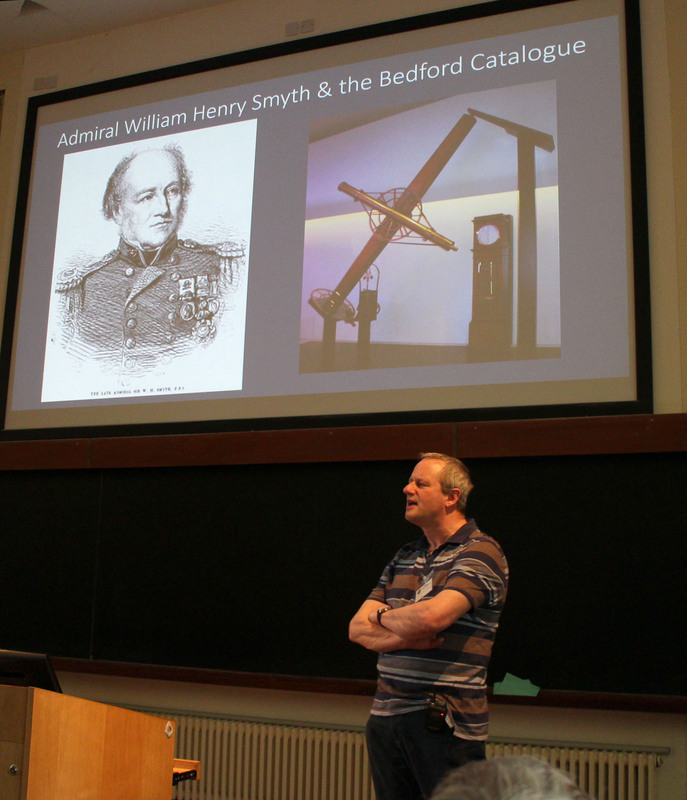 This talk took the audience on a journey of the history of the mechanisms discovery. It considered the early work of Derek Price and later detections by Michael Wright. This fascinating object has had a significant amount of research on it leading to the latest discoveries. These show that the object was an advanced astronomical mechanism which was made by an expert in astronomy from Ancient Greece. Names such as Archimedes, Hipparchus or Posidonius were considered as possible makers of this device. 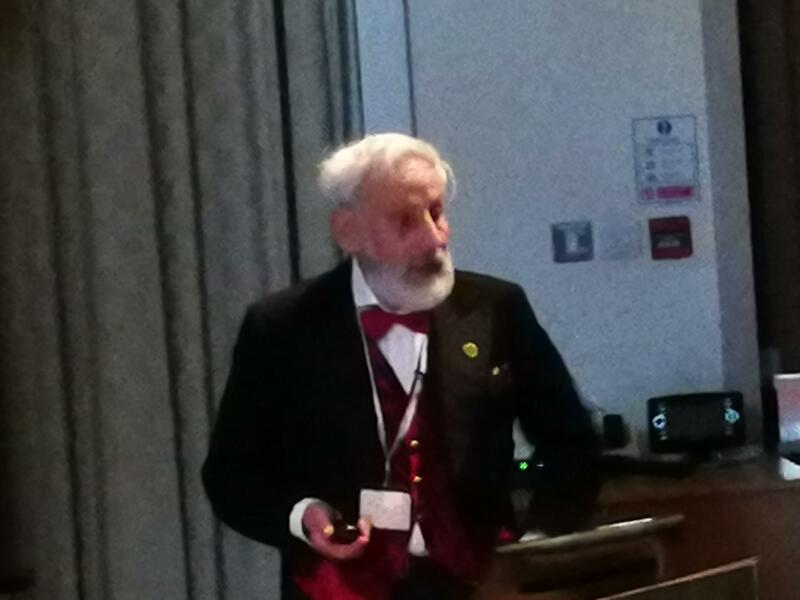 We thank Roger Salt for his talk on what is a fascinating object, which has enthralled the world since its discovery. Following this talk, we had a short interlude while Eddie Carpenter set up his Lantern Slide projector. Eddie arrived with an excellent array of lantern slides dating back as far as the early 19th century. 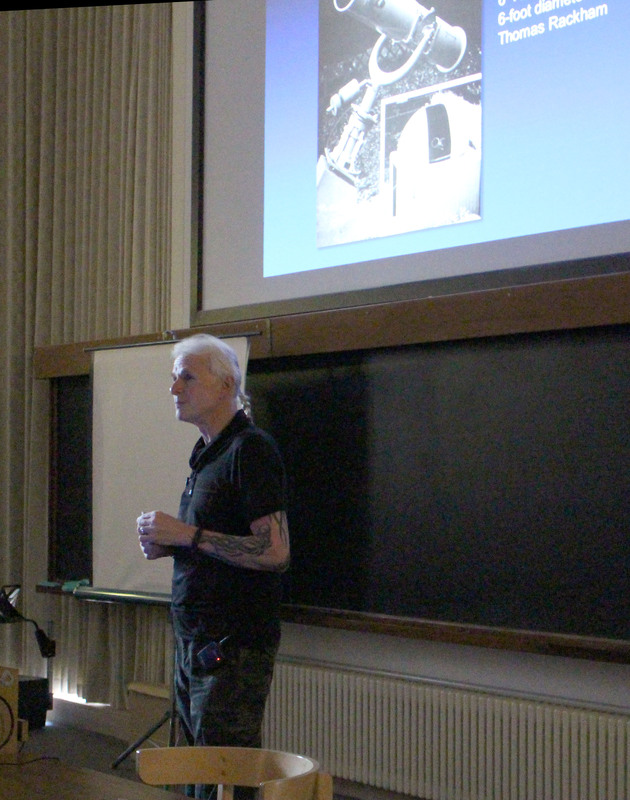 He started his talk with a crowd-pleasing q and a which asked the members of the audience to identify astronomers and observatories from around the world. 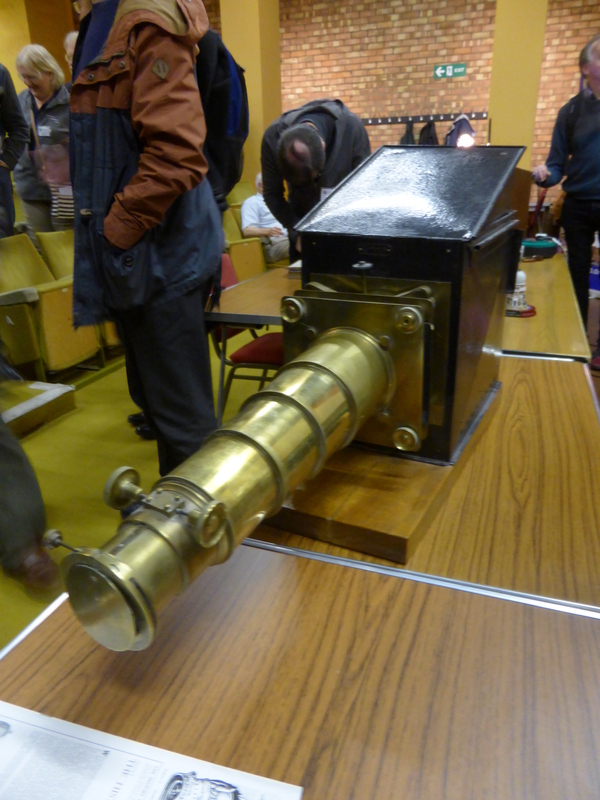 The highlight of his talk was him showing the mechanical magic lantern slides which date from 1840’s. An issue with the solar system slide was that it had been produced before the discovery of Neptune. When the outermost planet was discovered in 1846 they quickly painted the planet onto the slide but in the same orbit but on the opposing side to Uranus. 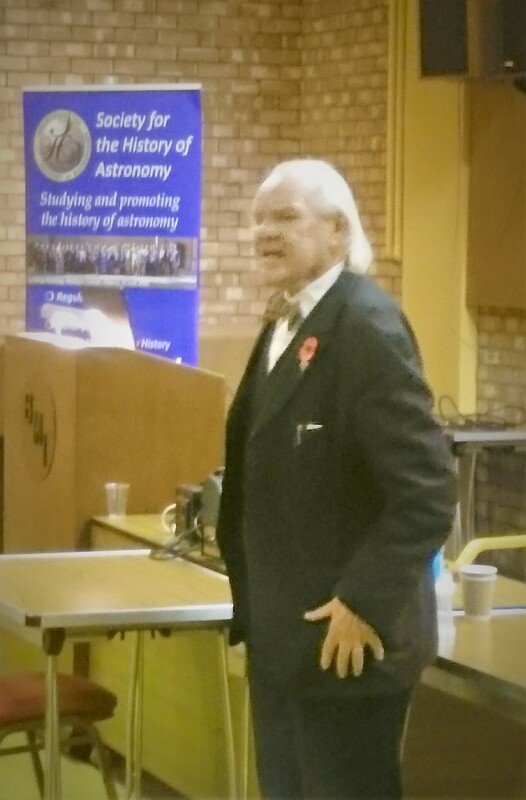 After the break for lunch, Dr Lee MacDonald gave a very interesting and topical talk on the history of the Isaac Newton Telescope. It is a telescope which is celebrating 50 years since it was situated at Herstmonceux Castle in Sussex. As Lee explained the telescope has a much longer history as the idea had been formulated in 1944 by the Royal Society. The whole project was beset by delay and disasters, including an inferior mirror which made the scope an f/3 focal ratio. This in time would become the scopes greatest strength. In 1984 the scope was moved to the Canary Islands. The f/3 focal ratio made it an excellent scope for wide angle imaging with CCD cameras, this allowed for large-scale supernovae hunting. It was a project led by Saul Perlmutter on this scope which would discover the presence of dark energy in the Universe. Lee’s topic was called “Cracked Mirror to Nobel Prize” which is a very fitting way to describe the changing fortunes of this once lamentable scope. 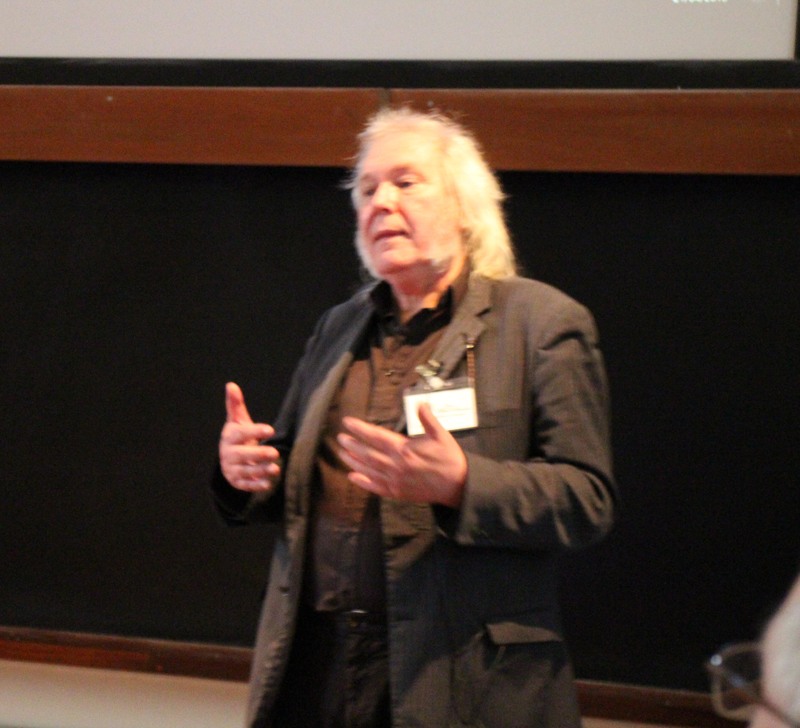 Professor Don Kurtz gave a very engaging talk about the meaning of time and how time has been understood, divided up and recognised through history. He took us around the world with different ideas about how time should be measured from different cultures. From the Babylonians early 12-hour day and the Roman 8-day week. We considered questions such as what makes a year? what is an Astronomical unit? and how is it measured? Why do we use a seven-day week? and how the calendar we use currently exists in its current form. Altogether this was a fascinating and thought-provoking talk. The final talk of the day was from our Societies President Dr Allan Chapman. His talk was about the enigmatic Joseph Norman Lockyer. Born to a well to do family Lockyer at first was a grand amateur astronomer. He soon was commissioning equipment which allowed him to make great discoveries within his own back garden. This was mainly in the field of solar spectrography. This, in turn, allowed him to become one of the leading people in this field at that time. He spent the next part of his life in the academic community within London but later returned to his amateur roots. He set up and ran the Norman Locker Observatory located in Sidmouth in Devon. Allan gave a wonderful talk to end a great day which was enjoyed by all. 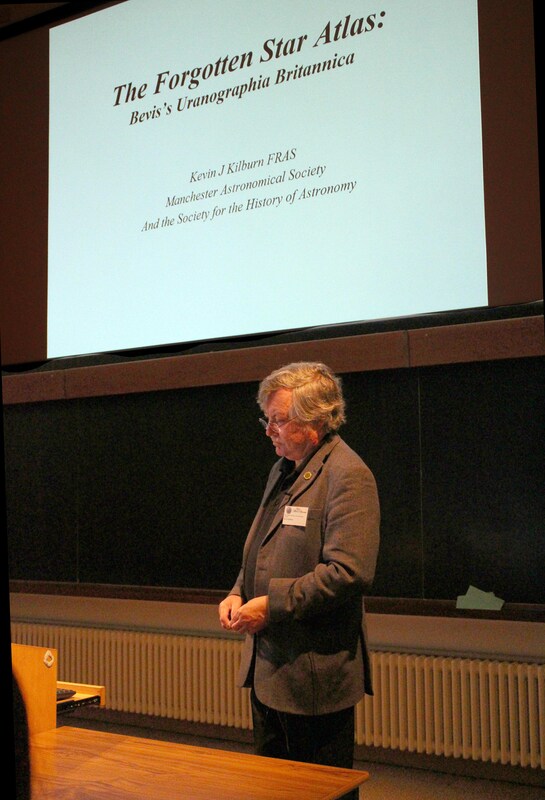 We wish to thank all the members and guests for coming and hope to see them at the SHA spring conference which is on April 21st 2018 at the Institute of Astronomy in Cambridge. This entry was posted in News on October 31, 2017 by societyforthehistoryofastronomy. This entry was posted in News on July 14, 2017 by societyforthehistoryofastronomy.